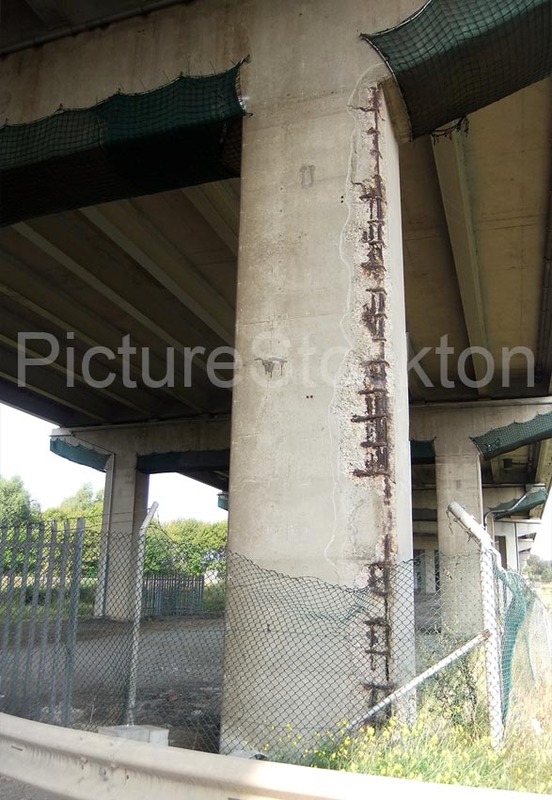 These photographs were taken in September 2014 and give some indication of the corrosion of the reinforcement of the bridge pillars and cross beams. Although it does not look good, the effects are mainly superficial. The rusting of the reinforcement has led to the spalling of the concrete at the edges of the beams and pillars. I understand that the cross beams are covered with fibre glass and epoxy resin, not for structural purposes, but to prevent pieces of spalled concrete falling onto maintenance staff. The problem areas are fenced off from the public. 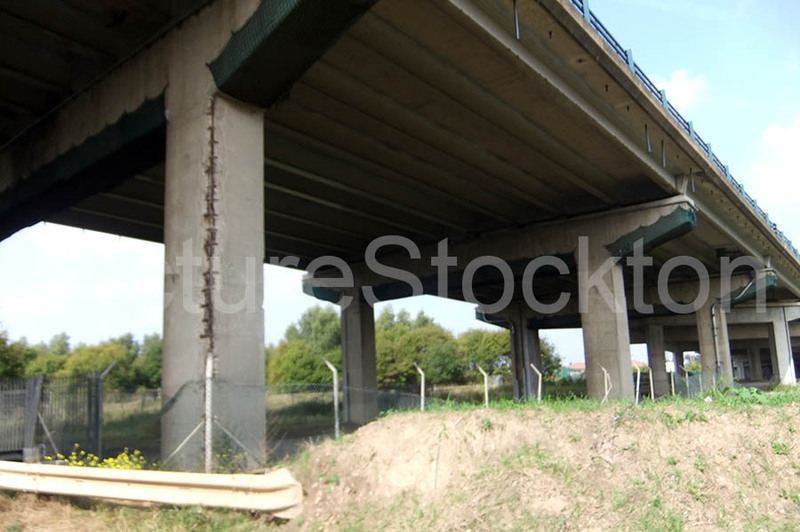 I was being shown round by an experienced retired civil engineer, who although stating that bridge construction over and around the Tees was challenging, because of the poor soil foundations, adding to costs, didn’t mention any particular problem with the A19 road bridge. This entry was posted in Bridges by Picture Stockton Team. Bookmark the permalink.